Memory or RAM, no doubt plays an important role in gaming. If you do not have the recommended amount of RAM (for games) in your PC then either you won’t be able to run the game at all or won’t be able to run it properly. Some games require more RAM to run and some them are less demanding and can run on moderate amount of RAM perfectly. But the question always remains that how much RAM is sufficient for current games because every year new games come out and they always have higher system requirements compared to the older ones. 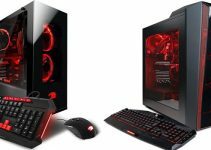 Well graphics card and processors do matter the most when it comes to gaming but you cannot left RAM out of this whole scenario if you really want a smoother and stutter free gameplay at high graphics settings. 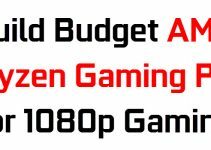 So here in this post I am going to clear all your doubts regarding how much RAM you really want for gaming in 2019, but if you also want to know that how much video memory (VRAM) do you need for gaming in 2019 then you can check it out by going to the link given below. Most of the latest high-end or AAA games require 8GB of RAM. You must have seen that almost every AAA game list two types of requirements. One is the minimum system requirements and other is the recommended system requirements. The first one list the basic requirements and you should meet these minimum requirements to play the game smoothly on low or medium settings. On the other hand if your computer possess or exceeds recommended requirements then you will be able to play the game on high settings at 1080p or higher resolutions depending on how powerful your hardware is. Below you can see the minimum and recommended system requirements for 2014 game which is Assassin’s Creed Unity. Today most the games lists 8GB RAM in minimum requirements and some of them also list this on the recommended system requirements too. Some games lists 4GB / 6GB as minimum and 8GB as recommended RAM, and some of the most recent games are listing 8GB or 16GB as minimum and 16GB as recommended amount RAM for them. There are also other factors too that can affect your RAM requirements for a game and here we are going to discuss that. The choice of operating system also plays an important role in the RAM consumption and the free amount left for the game to use. Well almost all the latest games now require 64-bit version of Windows OS because 32-bit versions have RAM limit of 4GB only. The current Windows operating systems supported by most games include Windows 7 SP1, Windows 8 and Windows 10 [all 64-bit versions only]. Windows 7 requires the least amount of resources and thus RAM. Windows 8 is also good in terms of resource usage but if you are using Windows 10 then you got to have more RAM on your PC compared to Windows 7 and Window 8. You can get away with 8GB RAM on Windows 7 and Windows 8 for games requiring 8GB RAM but on Windows 10 you would require 12GB or more RAM for the games that lists 8GB RAM as minimum or recommended. For example Batman Arkham Knight runs well on systems with Windows 7 / 8 with 8GB RAM but will stutter on systems with Windows 10 with 8GB RAM. For this you would require at least 12GB of RAM as to avoid any occasional stuttering and hiccups in the game. However, it is better to move towards Windows 10 because from now on most of the latest AAA games will support Windows 10 only and you will be then forced to upgrade your OS and RAM too. Game Optimization is also an important factor when it comes to RAM usage by the games. If the game is not optimized properly by the developers and there is a memory leak issue then the game will consume more than the recommended RAM and if you don’t have enough extra RAM then you will experience stuttering or issues with performance. 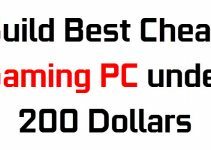 Most of the PC Ports or games that are directly ported from consoles to PC are not optimized for Windows or PC and they frequently encounter issues with performance and higher resource usage that also includes RAM. Some game developers may issues some patches to fix these high memory and performance issues but I have personally experienced that the issues still remains or do not get fixed completely. If you are a multi-tasker and do browsing in Chrome or Firefox even when the game is running then you may run out memory very easily if your computer does not possess extra RAM above the game recommendation. So if you do a lot of things even when playing game then you should get plenty of RAM for your gaming PC. 8GB or 16GB or 32GB? 8GB of RAM was enough for gaming in 2015 or even in 2016 but now it is the minimum memory requirement for most of the latest games. For gaming in 2017 and 2019 I would suggest you to get 16GB RAM, which I think is the sweet spot for gaming from now on. Also for gaming on Windows 10, you should require more than 8GB RAM to avoid performance issues. 32GB is way more than enough RAM and you won’t be able to use the half of it and thus does not make any sense, but If you have lots of money to spare then you may get 32GB of RAM otherwise it is just useless and totally waste of money especially for gaming. I would say that 16GB is the current sweet spot for gaming in 2019. If you have 12GB RAM then also it is sufficient but 8GB is certainly short. It is always better to get branded RAM for better warranty and stability as have seen that non-branded local RAMs are not very reliable and they start giving problems after sometime. 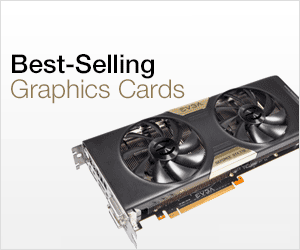 So always go for reliable and top brands like Corsair, Kingston, Crucial and G.Skill. Theoretically Dual Channel memory mode does means double bandwidth but in gaming you won’t really notice any difference compared to single channel mode. The only thing that matters is the amount of RAM, so it is better to get more memory rather than anything else. 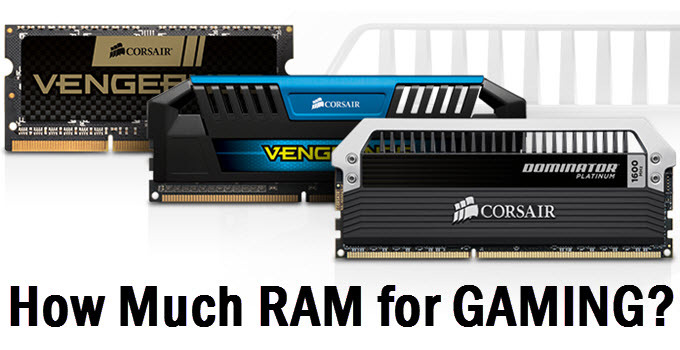 Here are some of the best budget gaming RAM that you can buy for your gaming rig. These memories are affordable and are not very expensive like the other gaming RAMs with LEDs and larger heatsinks. Hello, I always appreciate an informative article on these somewhat controversial topics and I think you covered it all right. Only thing i would like to add is that it would be great if you could provide some “real life memory usage tests” on those games, instead of citing the official system requirements. I suspect some would come with a surprise (for example GTA 5 was originally released last gen and 12-16 GB seems exaggerated). Surely will do and thanks for the comment.